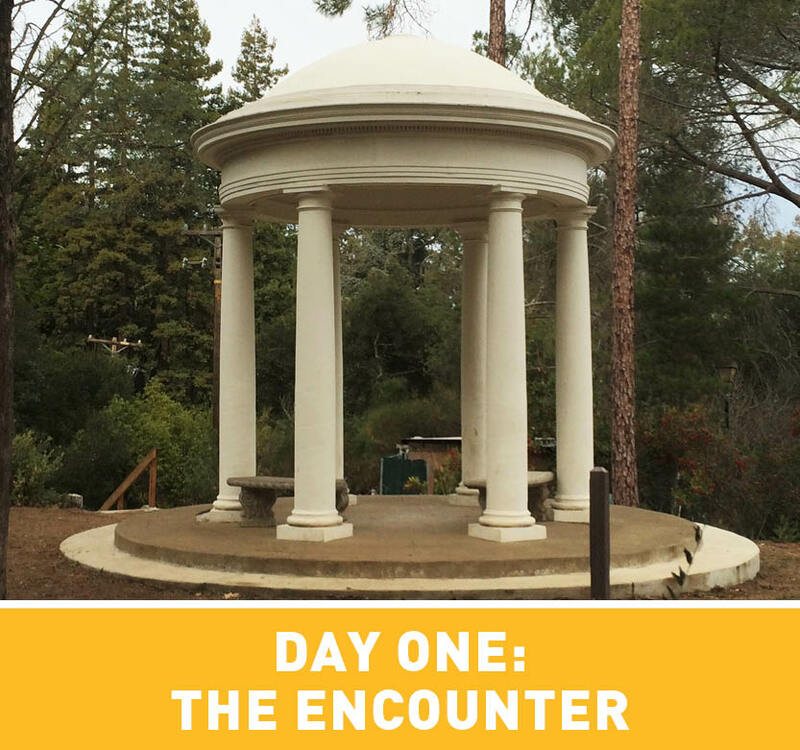 Untitled (Belvedere Temple) was a site conditioned architectural intervention inhabiting an existing structure that forms part of Montalvo’s historic property. 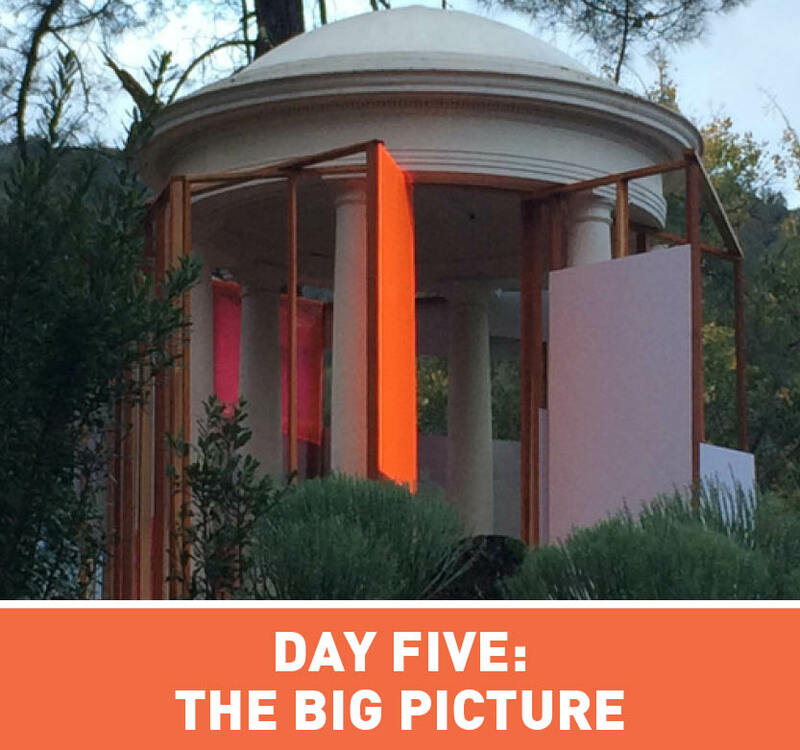 Responding to the original purpose of the Belvedere Temple to incorporate a specific vantage point or view, Justin Lowman used ambient and artificial light, PVC, redwood, plexiglas, textilene, and filters to frame and direct the viewer’s gaze to various overlooked vistas. Developed in conversation with experiments the artist conducted in his studio at the Lucas Artists Residency Program in 2012 and his recent installation in the Project Space Gallery, Justin described this work as a “mechanism for seeing.” Like Pixel Panes, in which Lowman focused on activating and drawing attention to the liminal space of the Project Space Gallery doorways, Untitled (Belvedere Temple) also made use of a threshold area, in this case the space linking the formal grounds and parking lot to the property’s hiking trails. The work was conceived as a contemplative space where visitors were invited to consider the passage of time as the colors and textures of the Belvedere Temple and the various views it frames transform as a day and the seasons progress. Lowman's materials--redwood and Plexiglas, and their associations with the timber industry/construction and fiber optics respectively--referenced both the history, present, and future of Saratoga, a lumber town of the 1850s that became a wealthy bedroom community for upper-middle class Silicon Valley tech workers. 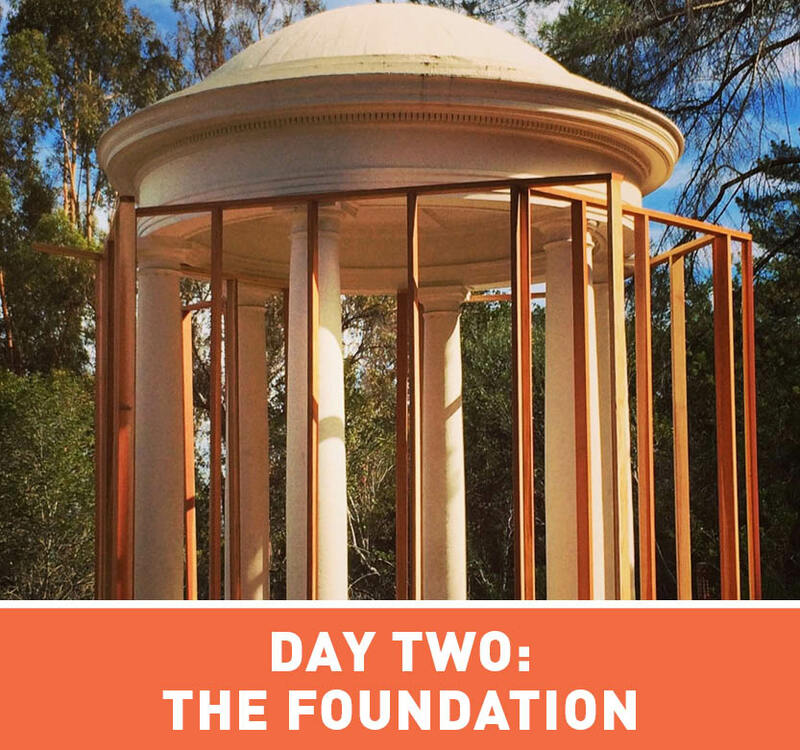 The work at the Belvedere Temple was developed in association with the Project Space Gallery exhibition Perceptual: Chris Fraser and Justin Lowman with the support of the Lucas Artists Program at Montalvo Arts Center. 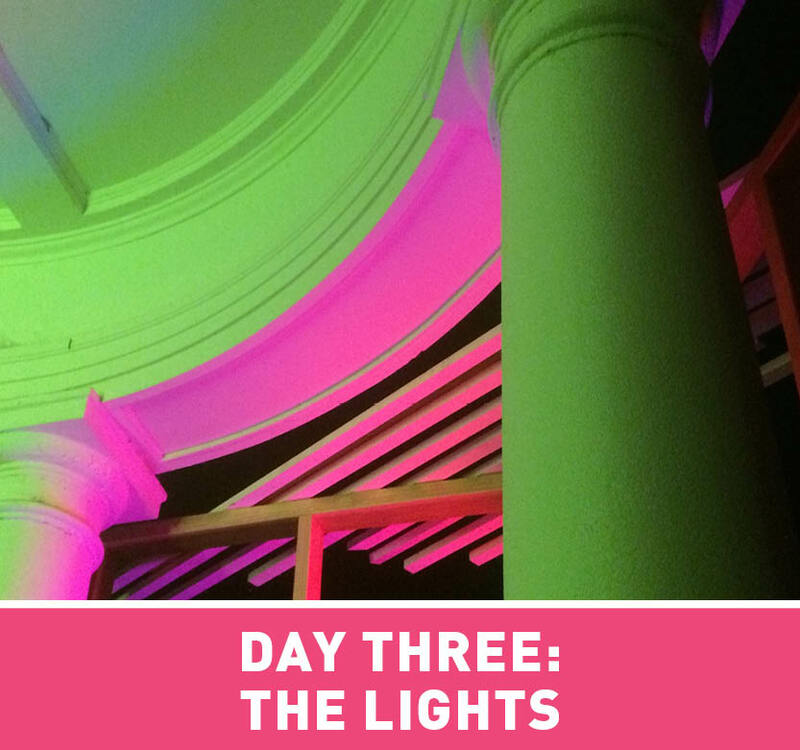 Justin Lowman (originally, from Janesville, WI) investigates light, surface, and color through various means and materials, fluorescent lights, video projections and filtering scrims/gels in response to specific conditions of built environments. 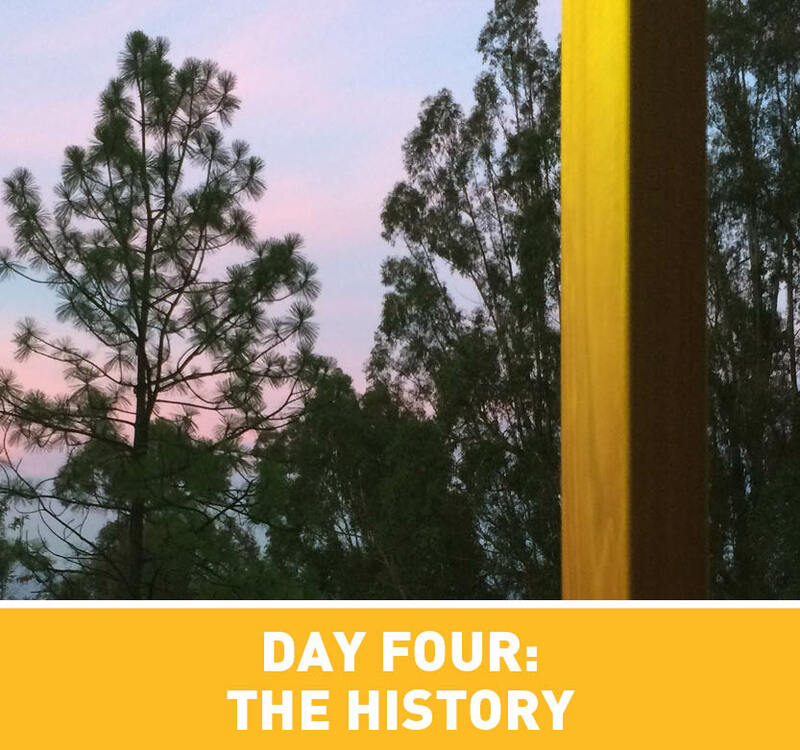 While potentially remote and abstract at one level, much of the meaning is proposed concretely within the actual moments of the viewing situation. He received his MFA in Art from Art Center College of Design in 2009 and two BAs—Art History and Classical Humanities--from the University of Wisconsin in 1996. Learn more about Justin Lowman at justinlowman.com. Justin Lowman wrote a series of reflections on the installation of Untitled. Read his words and view photos from the installation process by clicking on the images below.